The engine control module (ECM) continuously monitors the environment in the engine. Using the manifold absolute pressure (MAP) sensor or mass air flow (MAF) sensor, among others, the ECM modulates fuel injector pulse, spark timing, and valve timing. If there is a vacuum leak, the ECM may be unable to compensate. Short-term or long-term fuel trim, STFT or LTFT on a scan tool Automotive Repair Software, might show something like +10% or +25% as the ECM attempts to compensate for unmetered air. P0171 and P0174 are common Fuel System Lean DTC. There are several methods you can use to identify a vacuum leak. 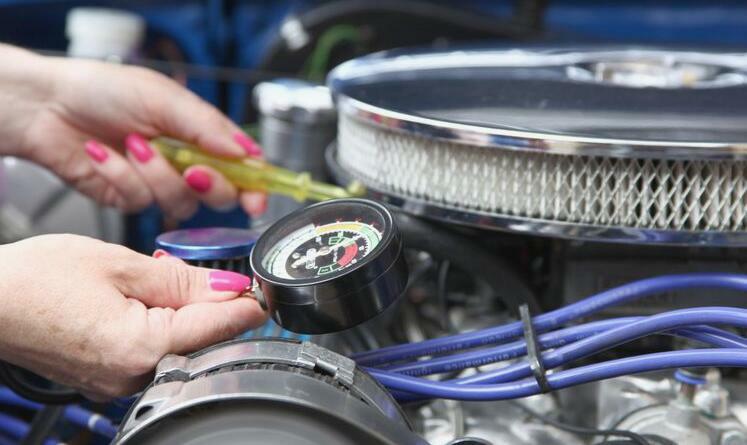 Start with a vacuum hose diagram, which you can find in a repair manual or sometimes on a sticker under the hood. Using one of the following methods, finding the vacuum leak might manifest itself as a change in engine speed or idle smoothness. Smaller leaks may only manifest themselves as fluctuating STFT readings on a OBD2 vehicle scanner.